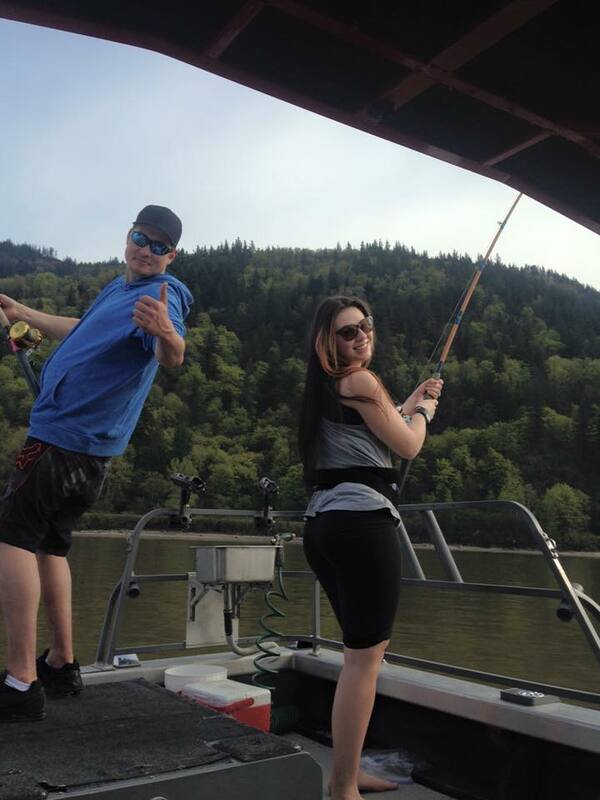 What an excellent start to April , the weather has been warm and dry and the sturgeon fishing has been excellent. 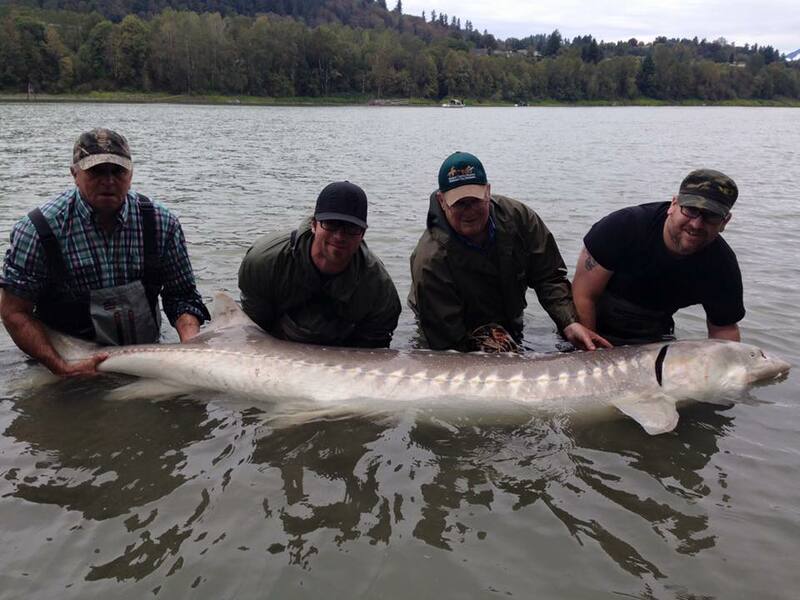 STS Guides and local anglers have been having some great catches, most of our trips have been catching double digits and some larger sturgeon up to 8ft. 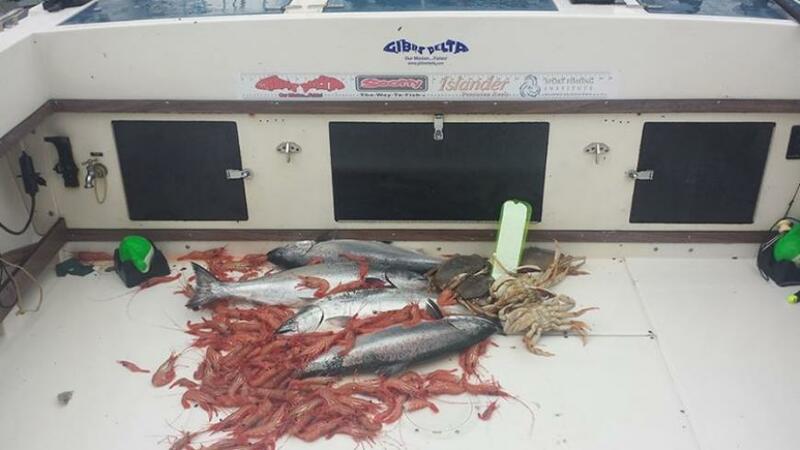 Salmon fishing in the ocean out of Vancouver has been good and local trout fishing is just getting started. Interior lakes are starting to open up so overall we are looking at some great angling opportunities over the next few months. See below for detailed report. 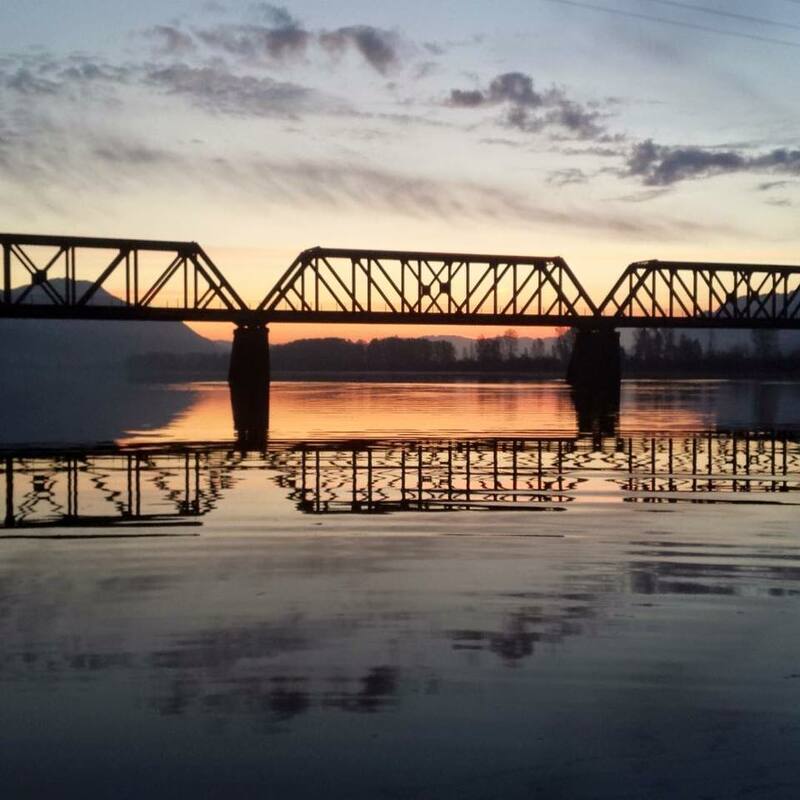 This picture was taken by local angler Rick Clarke on Saturday morning while departing from Mission Boat Launch. Fraser River Sturgeon Fishing has been excellent this past week, lots of fish in the 3 to 7 foot range with a few larger fish being caught. The Eulachon run ( small bait fish) looks to be a bit early this spring, we are already seeing some fat fish and it looks like the seals and eagles have moved in to the Mission area to begin their spring feeding. It also looks like the sturgeon have done the same as action has been nothing short of amazing this past weekend. Best bait has been Eulachon and Lamprey. If you are looking for a quality day on the river, come join our team of 8 professional angling guides. 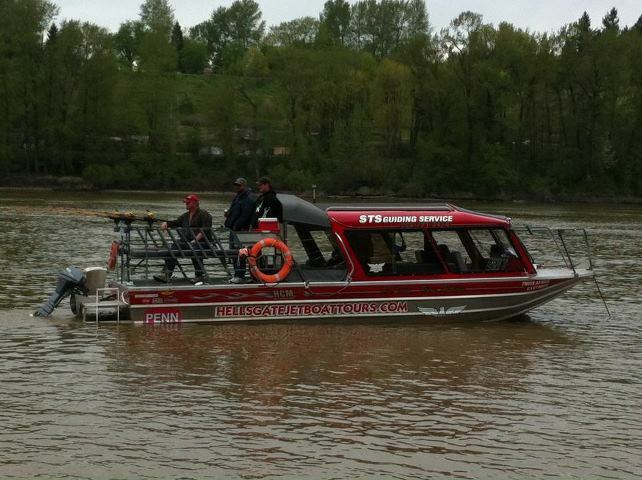 We offer 4, 6 and 8 hour sturgeon charters with private guide and boat. We supply all the tackle so all you need is to dress for the weather and let us look after the rest. Rips depart daily from Mission Marina, Chilliwack and Harrison Hot Springs. 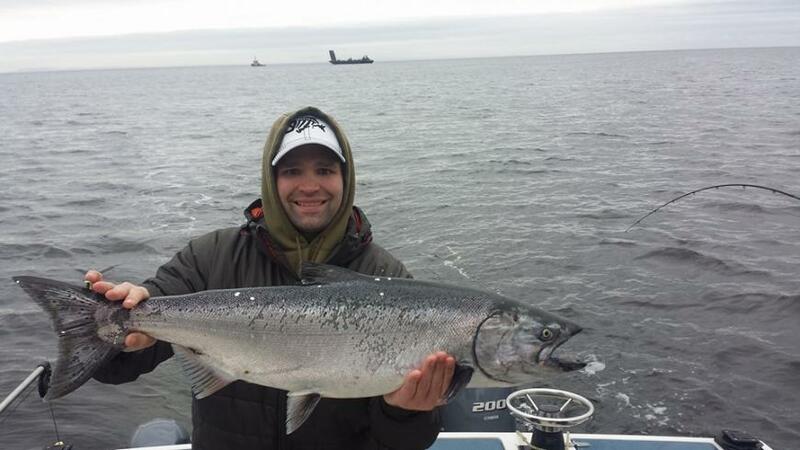 Vancouver Salmon fishing has been fair to good this past week. We have been running a bit of bait, but spoons still seem to be working best for us. We have been having consistent success with Skinny G’s (Outfitter, Bon Chovy, Sweet Georgia, No Bananas) and smaller 3.0 and 3.5 G Force Spoons. Guide Series Flashers as always are doing their job as per usual. April is a great month to get out and do some local fishing. Give us a call or an email if you would like to get out! Our summer Fraser Canyon Adventures are filling up fast, these trips are more than just your average sturgeon charter, we spend the day deep in the canyons of the Fraser between Yale and Hells Gate, fish for sturgeon, barbeque lunch and run some big white water. The cost is $275 p/p based on 6 or more, we still have a few weekend dates available and a few Fridays. Come join us this summer.